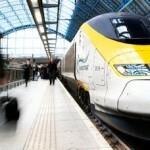 With Eurostar expanding routes to the Alps, the high-speed passenger rail service will link the UK with mainland European ski resorts directly from London St Pancras and Ashford International to the heart of the French Alps. This year, there are two additional Eurostar options on offer for travel to the Alps: Eurostar’s new direct service from London to Lyon, travellers benefit by travelling directly to the most connected capital in Europe, linking to some of the continent’s finest ski resorts. Renowned as the gateway to the French Alps, Lyon is extremely well connected linking some of Europe’s most coveted resorts including Les Deux Alpes, Alpe d’Huez and Chamrousse. With fares starting from only £89 return in Standard Class, it’s an attractive alternative to flying. Eurostar’s day and night services direct to the French Alps offer easy access to top resorts including Courchevel, Meribel and Aime-la-Plagne2 all within an hour from the station. The 2015/2016 seasonal ski services will run weekly from 19 December 2015 until 9 April 2016 and skiers looking to hit the slopes can purchase return fares from £149. The best news is that skis and boards travel for free. The Friday overnight service arrives in the French Alps early on a Saturday morning with the return leg departing late on a Saturday evening – perfect for winter sports enthusiasts looking to maximise their time on the slopes. Alternatively, the Saturday daytime service allows passengers to sit back, relax, and enjoy stunning views of the French countryside before they arrive rested and ready to ski.